Have you heard about our fantastic brand new service..
No matter what hair length you have, if you suffer from frizzy or wavy hair, an afro or just plain uncontrollable hair this is the service for you! 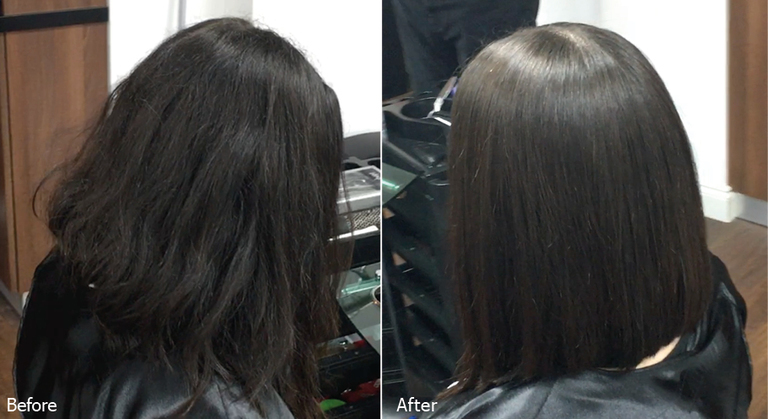 You will have never seen a Brazilian Blowdry that has results like this. 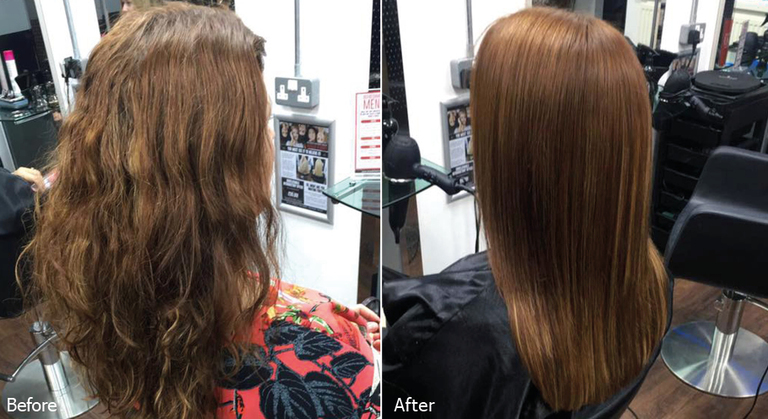 By simply having one 2 and half hour service, a blowdry 3 days later and a home care product your hair can become instantly more manageable, and, dramatically reduce the amount of time you spend trying to manage your hair at home, for up-to 4 months! - Strengthens the hair using an intense conditioning remedy. That’s the technical bit done. Keep scrolling down the page to a short video of the service in action and before and after pictures. Just Look At The Great Results! "My hair is incredible!! I can wash it, leave it to dry in the sun and it only requires a quick straighten to perfect. I’ve never been so chuffed! Off out on a friends yacht tomorrow to anchor up and swim which I would usually avoid due to my stupid hair but after the treatment, can spend the afternoon in the sea and sun without looking like a plonker!! Thank you all very much"
"My hair is now so much more manageable! As a mum of two mornings are normally chaotic enough without trying to find the time to manage my hair, which is now a thing of the past! Even when I’m stood at the school gates in the rain my hair doesn’t frizz! This service is absolutely amazing and I would highly recommend it!"